The perfect ambience is what each wedding planner aims for and more or less tries to make the best use of resources to make it happen! Though there are several aspects that contribute to it, the most obvious and impacting contributor is the lighting. 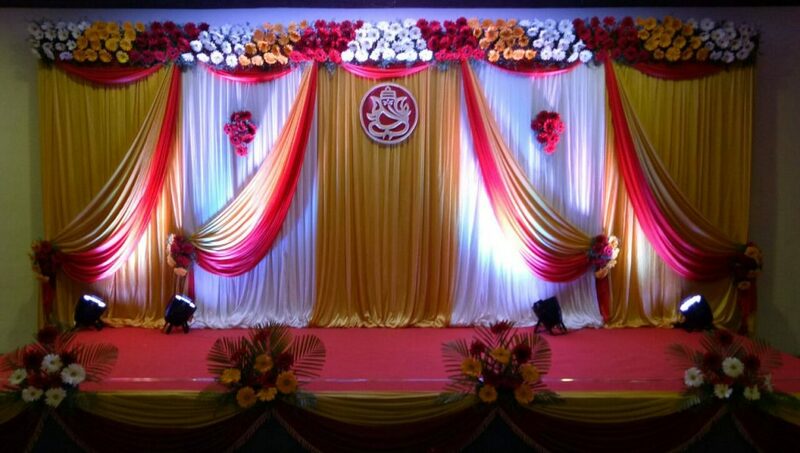 We @Kiyoh are rated as the best wedding stage decorators in Chennai & one of our secret sauce is the ability to bring in the feel, make it suave, offering something exceptional for the new couple as they take to the stage and for the onlookers as they stand in awe at the magic it brings to the decorum! Mood lighting is growing in popularity over the years. It has taken the centre stage in modern day weddings. It adds emphasis on great food and entertainment. Young couples look for the best to make their celebration unique. It can transform the wedding stage by matching with the wedding theme. It can give a personal touch to the version of the bride and groom. It remains fresh in the mind even after the event is long over. The venue is overwhelmed by colours with its warmth and depth. Best wedding planners in Chennai add depth beautifying the room with calming yet bright setting. The lights can add dimension to the venue and enhances the mood. The whole event turns into a whimsical atmosphere. Lighting has become an integral part of wedding celebrations. It can be divided into three forms and these include up lighting, moving lights and monograms. It has been a popular choice and can make the event stand out. Today couples have become racy while using up lighting with changing colours to signify different stages like drinks, dinner, entertainment, speech and blessing the couple. The latest in the lighting arena is the monograms or initials projected on the tables and dance floor. Moving lights are also in demand and have a multifunctional purpose. Atmospheric shapes are used in the dance floor lighting. It creates a theatrical ambience. Lighting should create an impact; it should complement the colour theme of the wedding. Some of the most popular colours include amber, burnt orange and deep purple. Go ahead and show you are different. Using colours from the same palette can complement the theme. Transform the venue matching the vision of the bride and the groom to make it different from other weddings. If you do not have budget constraints opt for special effects other than indoor and outdoor lighting. There are other ways to restrict your budget on lighting by cutting down on outdoor lighting and using candle lanterns to create a magical outdoor ambience. You can spend on the indoor lighting to make an impact. The ultimate goal of is to create an amazing ambience for the guests to enjoy.